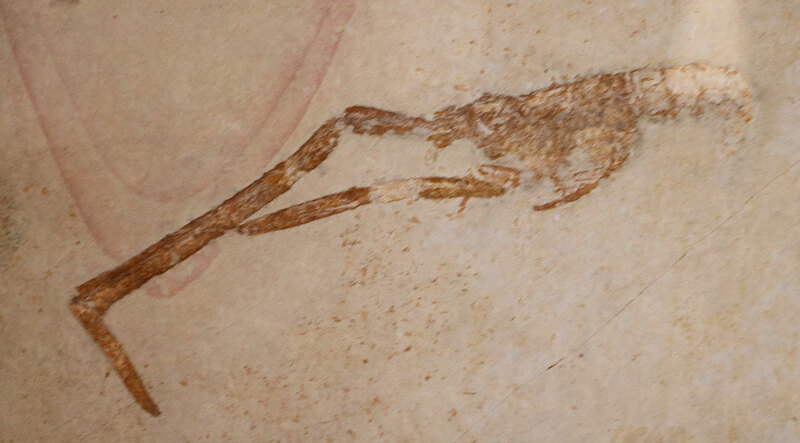 Mecochirus longimanatus crustacean claw fossil found at Eichstätt, Germany. The fossil dates to the Jurassic Period. Fossil on display at American Museum of Natural History in New York City, USA.